So today was the first day of our latest adventure! We got on the road a little later than we expected, but no problem! 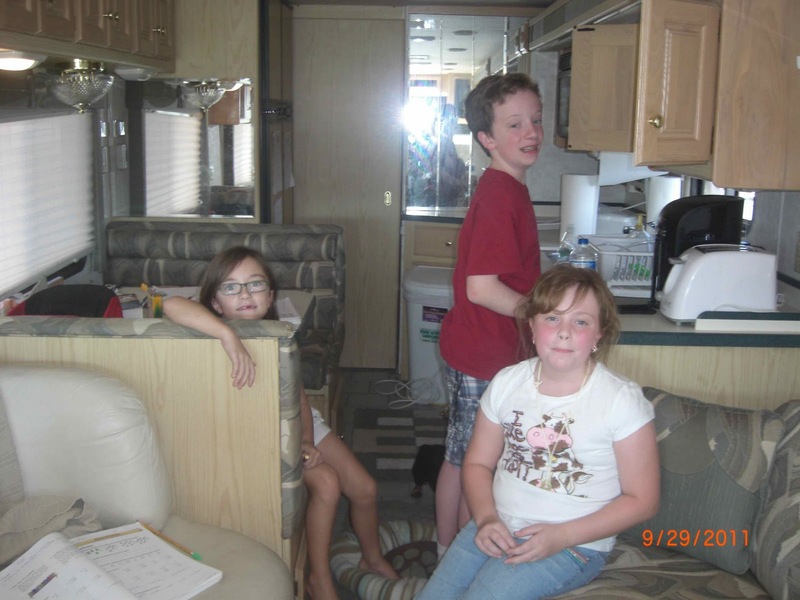 We had a lot of last minute things to take care of - cutting the grass, piles of laundry - plus packing the RV. So given that, I think we did really well. 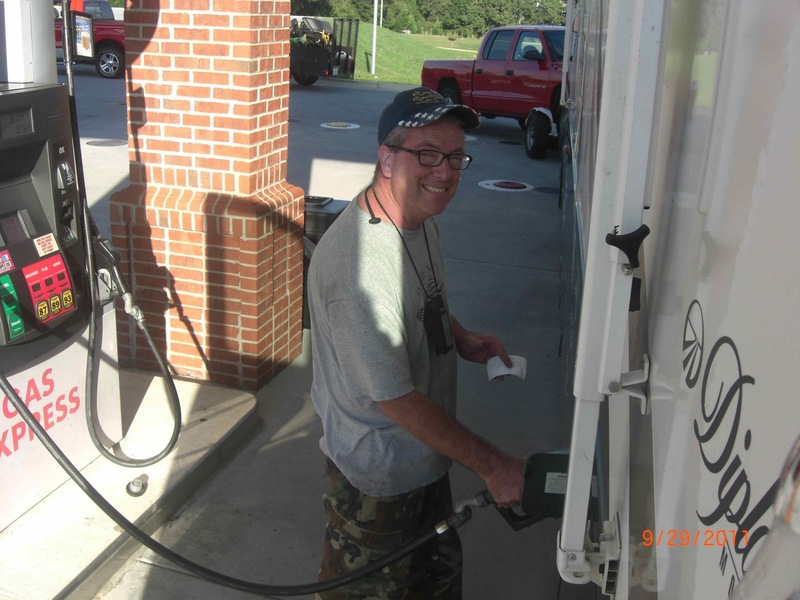 We filled up with fuel and got on the road around 5:00PM. Traffic wasn't heavy at all, and we did pretty well. Since it was so late in the day, we were only trying to make it to Knoxville, TN, to stop for the night. 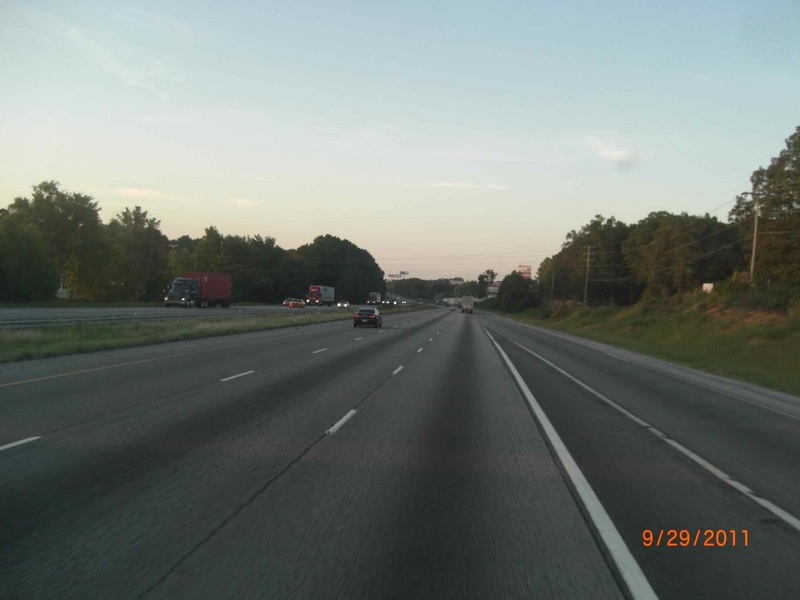 We don't like to drive at night - you know how those trouble-making deer are - so Knoxville was a good goal. Tomorrow we will get back on the road. Our next stop is Beckley, West Virginia! Looking forward to catching up with my Aunt Phyllis there. More pictures are in the Photo Gallery. We are headed out again this week! Please jump on over to our "Tell Us What To See Page" and share with us what we shouldn't miss on this trip! 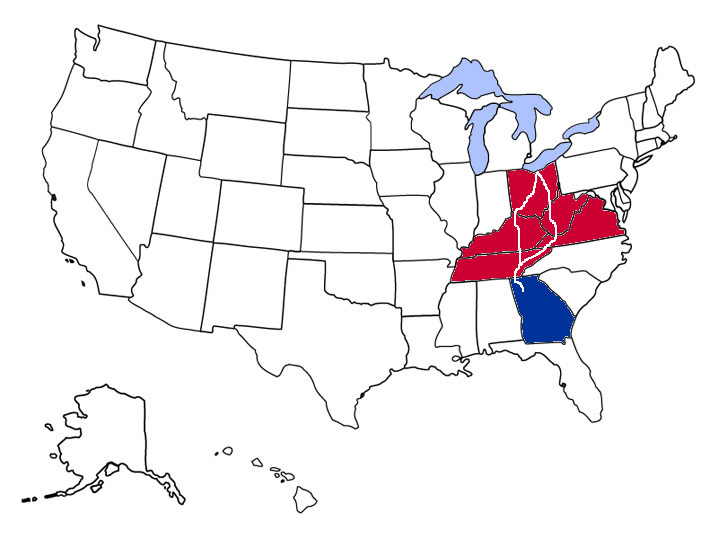 Our destinations include Charleston, WV and major cities in Ohio and along Lake Erie. What have you seen that is too awesome to miss?? Today was an excellent Science field trip day! We traveled to Huntsville, Alabama, to visit our nephew, David, at the University of Alabama - Hunstville, for his 19th birthday. He is a freshman at UAH, majoring in Astronomy! We enjoyed a great visit and dinner with him yesterday, followed by a great breakfast this morning. 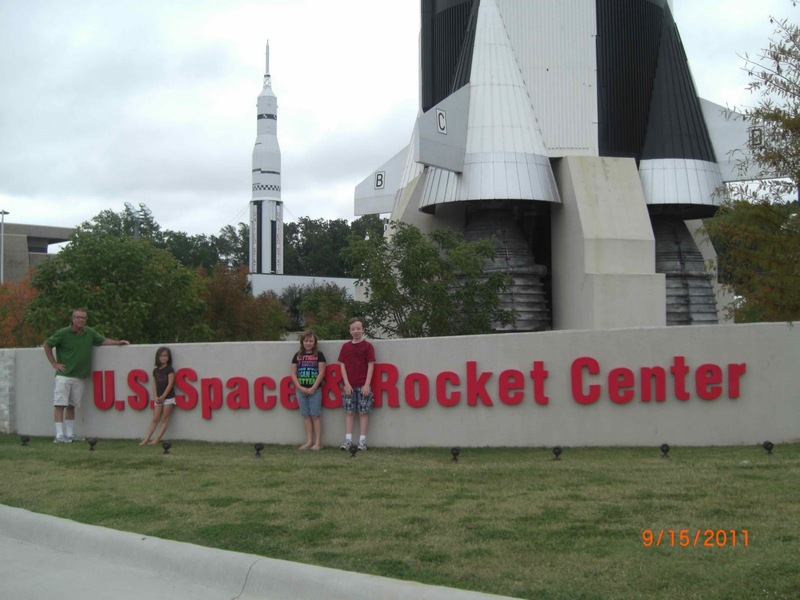 After breakfast, we drove the 1.5 miles to the U.S. Space & Rocket Center. You can see the mock-up of the Saturn V from David's dorm. We had another free entry to this museum with our Fernbank memberships. I think we have saved at least $200 in museum admissions this year with our reciprocal benefits. WELL worth our $95 family membership to Fernbank! The Center offers exhibits of the space program since its early days, which a large part of which were in Huntsville. We learned about how the engines of the rockets work, the amount of force (thrust) needed to get them off the ground, as well as what astronauts experience in space and upon their return to Earth. There were guided tours available, but we chose to explore on our own. 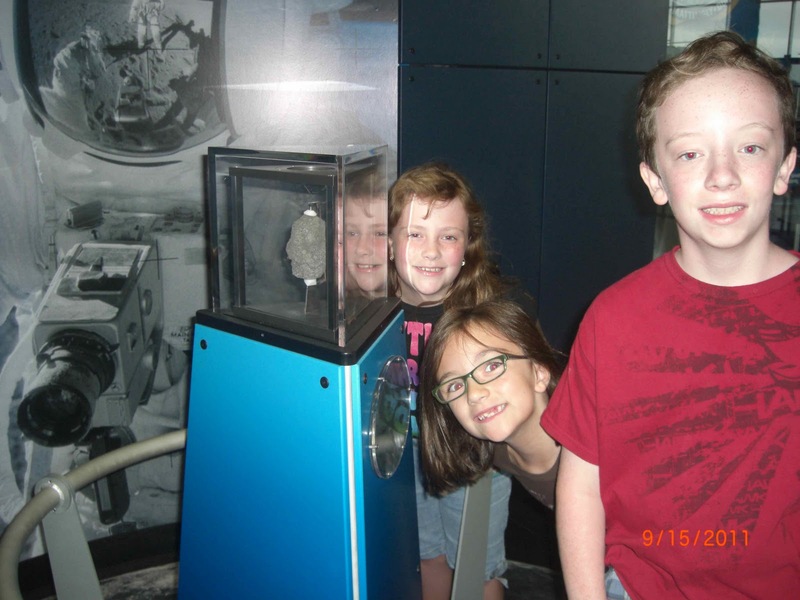 There were also hands-on science experiments and lessons throughout the museum. One of the neatest things we saw was the Apollo 16 command capsule, named "Casper." This was the actual capsule used by the Apollo 16 astronauts. It was a tiny space for three men to share for eleven days! They also had an real moon rock on display. The outside grounds are host to several life-size models of rockets, from the towering Saturn V model, to the smaller Saturn I and Juno II rockets. There is also the Space Shuttle Pathfinder, used for shuttle simulation, on permanent display on the museum grounds. Space Camp is also a part of the sprawling grounds. 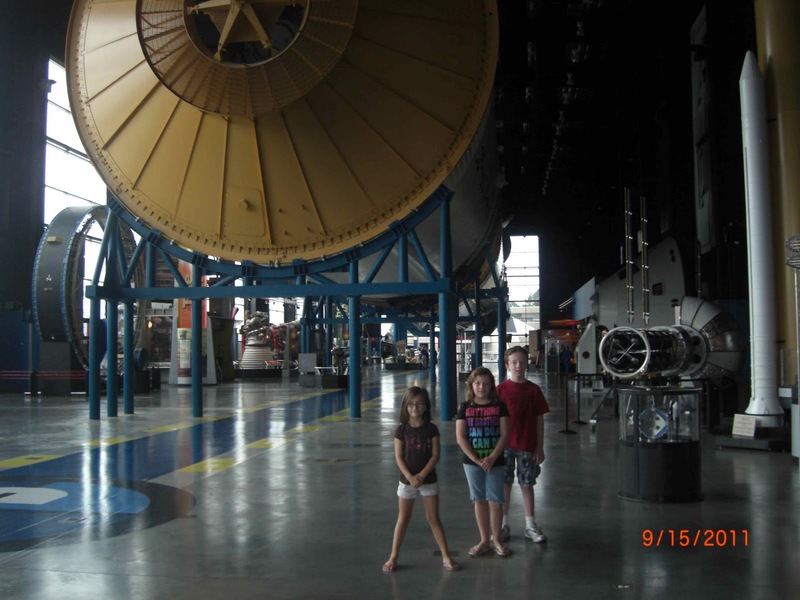 Once the children are a little older, we may think about participating in the Family Space Camp Program. 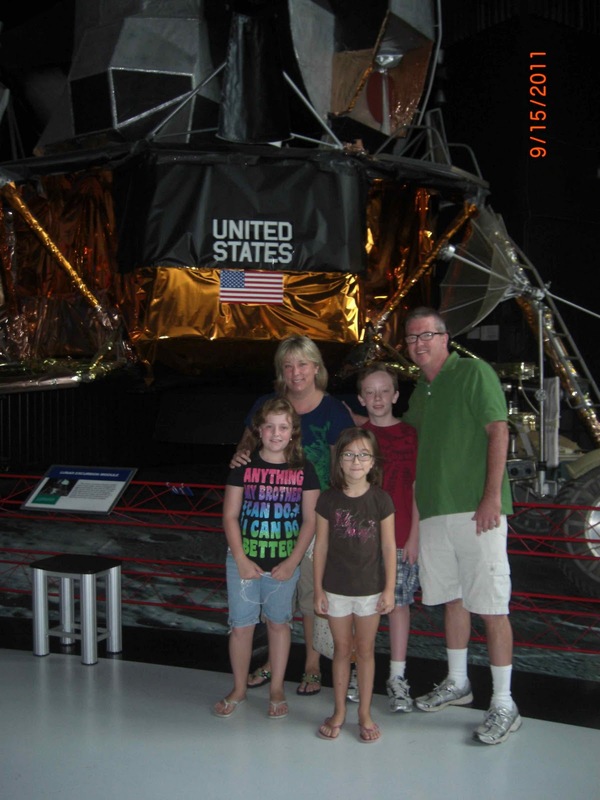 One really gets a feel for the true power of the rockets, and the U.S. space program itself, when visiting the U.S. Space & Rocket Center. We had a wonderful visit, although we had to head home earlier than planned due to the death of a close friend. Ray Richardson was a great friend and mentor to Jim, and he will truly be missed. Our thoughts and prayers are with the Richardson family. More pictures are in the Photo Gallery!